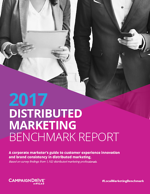 Discover how brands in every industry are tackling the toughest distributed marketing challenges in this exclusive report. Insights from hundreds of brand marketers reveal exactly what’s top-of-mind for today’s brand leaders and how companies are setting out to make their distributed locations marketing powerhouses. Our landing page generator is a game changer for our local marketing teams. It makes them more nimble and responsive — and saves tons of cash at the same time! The tool was intuitive and the entire team learned how to use it quickly. We drafted all of the key pages and templates we need for our new site. The software has everything we need to provide brand approved material to our franchise system. It is easy to utilize for all skill levels and is a perfect match for our growing franchise needs. Marketing on Demand is like an ATM for marketing. Our salespeople log in, find the template they need, and customize it in a matter of seconds. What could be easier? Karen G, Senior Graphic Designer at Wellbiz Brands, Inc.